1. Pick a Time and Place - Humans are creatures of habit. Get into the routine of climbing a mountain every week, going for a jog alongside the river or waking up before the sun for early morning yoga. It might feel like you don’t have any extra time to exercise between work, family time, meal prepping and downtime, but writing out a schedule will reveal that there are wasted hours in your day. That early morning or late evening will be difficult at first, but once you get used to it, it’ll just be another part of your day. 2. Set Realistic Goals - SMART Goals are popular for an obvious reason: they work. Don’t expect yourself to be able to run up and down a mountain on your first day. Exercising in the elements can be difficult at first, but all that fresh air is so good for you. 3. Stay Accountable - Once you have clear goals set, share them with someone who can help you stick to them. This could be a spouse, friend, or even public forum of like-minded outdoor exercisers who can give you sympathy and encouragement when you need it. Publicly announcing your goal increases the likelihood of success to 95% (up from 5% if you keep it to yourself). 4. Find an Adventure Partner - Nothing is more motivating than knowing you have someone else counting on you to get up and get outside. 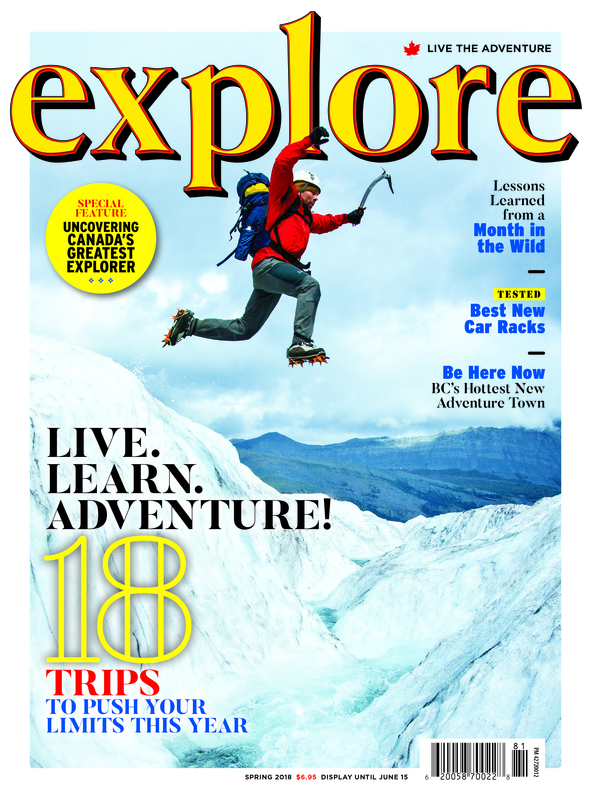 Plus, having an adventure partner makes your outdoor pursuits more fun, safe and accountable. Try to pick someone around your fitness level or a little more in shape than you so you’re not slowing down to match their speed. 5. Push yourself - Climb that mountain. Run one kilometer further. Take a different paddling route. Try something new! There are endless ways to work your muscles and explore the outdoors, so take advantage of the natural gym all around you. 6. Momentum is everything - The easiest way to start the outdoor ‘habit’ is to build momentum. Keep your gear prepped and ready to go so that ‘digging out your gear’ or lack of equipment is never an excuse. I keep my hiking basics in the trunk of my car so I’m always prepared to get outside and adventure. 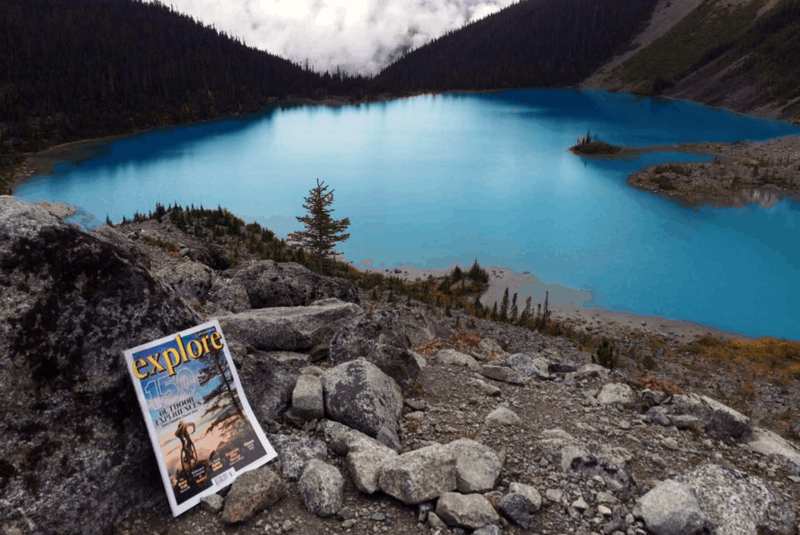 Do you wish you could spend more time being active outdoors? Imagine, standing atop a bluff overlooking a pristine lake, enveloped in the silence of nature. You snap a quick photo to capture the moment. Now, imagine the rush of sharing this moment and your exciting new life with your friends and family. The idea sounds amazing, but sometimes the motivation can be a bit tougher to come by. 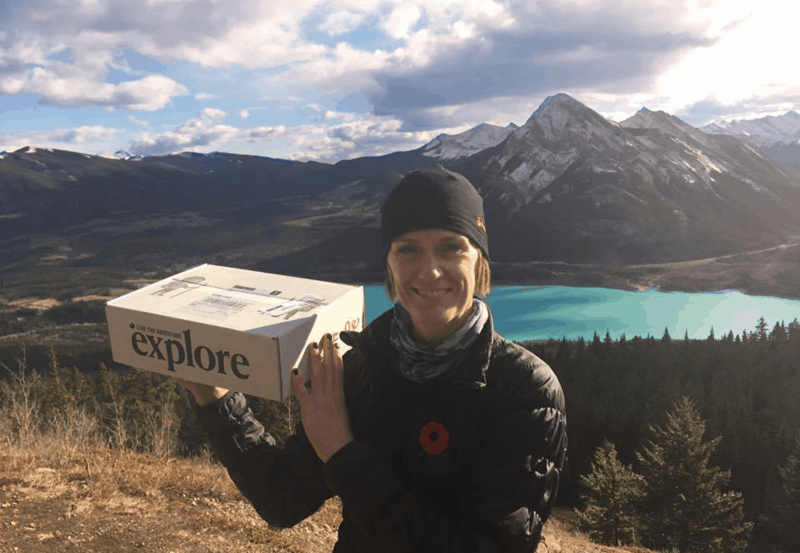 Every 90 days we will send you a box packed with outdoor adventure gear and challenges to get you outdoors and using your new gear. The gear in each box is worth over $150 in retail value for just $97... plus the priceless value of the motivational challenges you won't find anywhere else. This is more than just gear in the mail, it is a private club with “scavenger-hunt like challenges” that will completely change the way you, and your family spend your free time. This is a serious gear box, not for the "toys" you get to collect but for the fact that you're challenged to actually use them in the outdoors! This isn't a gear box for the "arm chair" gear box collector. This gear box is for people who need that little extra push to forget about excuses and just go for it - live and in person! 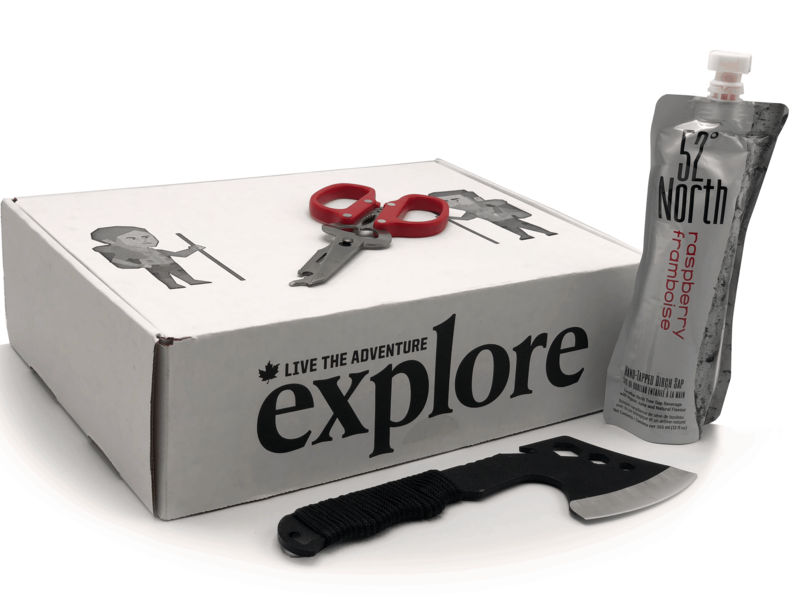 Try The Live the Adventure Club Gear Box By Explore Magazine! You'll love it.